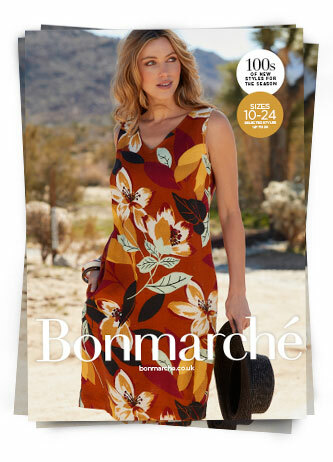 Our exciting new Bonmarché catalogue is now here! Our new season collection brings bright and bold swimwear, easy to wear yet stylish linen blend separates and timeless holiday pieces. The latest 'Edit by Mark Heyes' collection is full of vibrant pink tones and radiant red hues. Simply fill in your details below, and we’ll post a copy of our new catalogue to your door.